You finally decided that it is time to upgrade your ClickFunnels package to funnel hacks, but you still wondering if it worth it? in this Funnel Hacks Review , i will share with you my opinion. Maybe because you want access to Backpack or Actionetics or maybe you want to be able to add more than twenty funnels in your account. Do you log in to your ClickFunnels account and upgrade yourself to the $297 package from there? Not if you would like to save yourself some cash and access additional coaching to get even more out of your ClickFunnels account. That’s because ClickFunnels has a far better offer for individuals wanting to upgrade from the standard package. 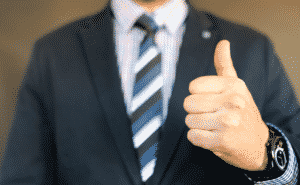 It’s referred to as Funnel Hacks, and in this review, I am going to show you what it’s all about and why it had been the offer I ultimately decided to go with for my very own business. Funnel Hacks is one of the 2 main offers that centers around the $297/mo Etison Suite package. The other being Funnel Builder Secrets. There’s additionally full 30-day money back guarantee on the offer as well. Don’t forget that ClickFunnels may or may not be phasing out Funnel Hacks from their package plans. It’s like they’re encouraging their affiliates to promote the Funnel Builder Secrets offer, as they have removed the Funnel Hacks affiliate links from the dashboard. However, for now, the Funnel Hacks links still work. You might have been a ClickFunnels member for a few years using their basic plan. However, after some years, you may wish to make a push for your ClickFunnels dream car. One of the most effective strategies you may discover to get more ClickFunnels affiliates is to leverage the ability to share funnels. By providing valuable, relevant share funnels, you will begin to see that you could get more people to register for ClickFunnels under your link. For this, I came up with this concept. To build a ClickFunnels Share Funnel Library which I could use as a cool lead magnet and bonus. What I’d do is search the net for the perfect share funnels that people were offering and build this fantastic resource that will be valuable for people new to ClickFunnels. But I soon hit a problem. The basic ClickFunnels plan only permits you to add twenty funnels at one time. And I needed to add far more funnels than that. It became frustrating because I had to choose what funnels to archive and what to keep to remain under that limit. The obvious solution was to upgrade my package to the Etison Suite package with unlimited funnels. However, the ordinary Clickfunnels pricing goes from $97 a month to $297 a month may be a huge jump. And for a huge monthly payment like this, I needed to make certain I’d be getting as much value as I can for my investment. Why did I choose To Upgrade My Clickfunnels Account? I first took a glance at Funnel Builder Secrets. For $2997 I could get a 12-month of Etison Suite package free, and that I would gain access to a boatload of coaching as well as the Funnel Hacks Masterclass, Traffic Secrets and additionally a full year of Funnel Scripts. If you calculate that, that brings the value of the Etison Suite package all the way down to $250 a month. Pretty bargain right? That is what I assumed too, so I went ahead and purchased it. But for my very own affiliate business, the most valuable factor I possess is my time. And while I hope I had time to go through more hours of coaching, I have already got a backlog of courses I am trying to get through. So after a couple of weeks, I thought about it more and began to get buyers’ remorse. That’s when I started checking out Funnel Hacks System more closely. It also offered a bunch of additional coaching, as well as the Funnel Hacks masterclass you get with FBS. But it was only $997 upfront for 6 months of Etison Suite package, that drops the cost all the way down to $166 a month. And I realized I might “renew” the purchase anytime before my 6-month expired, which is what sold me. So I decided to get in on Funnel Hacks, and I am presently on this plan today. And since then I’ve come to understand that Funnel Hacks is the best deal for anyone who desires to focus their main business around ClickFunnels. Besides the free six months of Etison Suite access, you furthermore might get access to some extra coaching. I’m going to show you what you get with every coaching and what they cover. 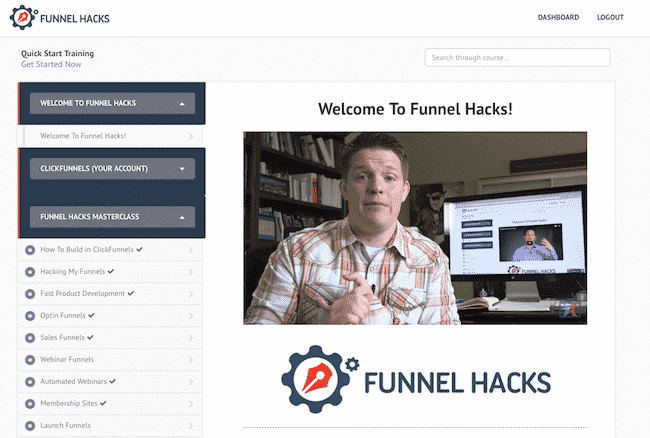 The Funnel Hacks master class contains everything you want to know regarding building funnels. 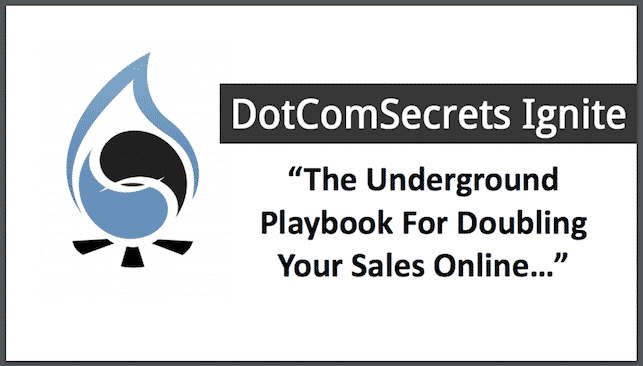 DotComSecrets Ignite is a three-hour video coaching that helps you understand the principles of Funnel Building. Inside Russell covers 9 completely different funnels, how they work and the way they react with one another. A separate membership website that contains working and proven traffic sources. The videos are updated as new strategies and methods are uncovered. 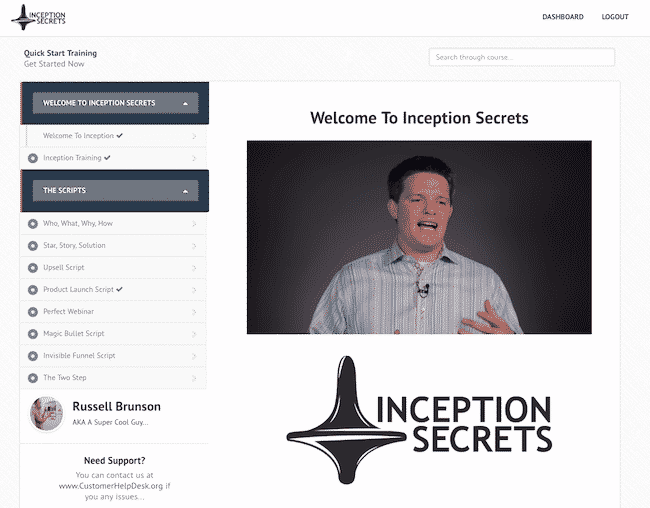 Inception Secrets is additionally located in a separate membership website. The course teaches you the new way to sell on-line and helps you to create a structure and story where individuals do not feel like they are being sold something. Russell offers you these precise scripts and processes that get individuals to possess that epiphany themselves, that compels them to purchase your offer. Very clear from the start in regards to what you wish to achieve on-line marketing Effortlessly set up completely different funnels using Clickfunnels like opt-in funnels to come up with leads, build a sales funnel to sell your product, as well as one-click upsells, and downsells. Also, you’ll be able to produce automated webinar funnels, membership site(s). Easily replicate any Clickfunnels with the assistance of Clickfunnels share codes. You need to be consistent and stick to the plan of action laid out in the program to achieve success. Not affordable for everybody because of its pricing. Special Clickfunnels discount pricing is only offered on your first invoice. After that, you have got to pay regular Clickfunnels subscription charges. Funnel Builder Secrets replaces Funnel Hacks to gift you even an additional product as well as special ClickFunnels discounts to help you to succeed. Funnel Builder Secrets provides all the coaching and also the tools for entrepreneurs who are ready to build their on-line business but don’t desire all the headaches of developing a blog, maintaining it, integrating a payment processor, the stress of hiring coders, an email autoresponder, and on top all that, don’t want to be hacked! So if you’re a businessperson and you have got your message to share with the rest of the world but don’t understand the tech, Funnel Builder Secrets is supposed for you. By the time you have undergone all the coaching, you’re in a position of building the best marketing system. And….You can make use of this coaching even though you’re unaware of the merchandise you would like to promote nonetheless. What does one get in Funnel Builder Secret? You get access to the coaching and access to Clickfunnel Etison Suite which has a Backpack and Actionetics too additionally. 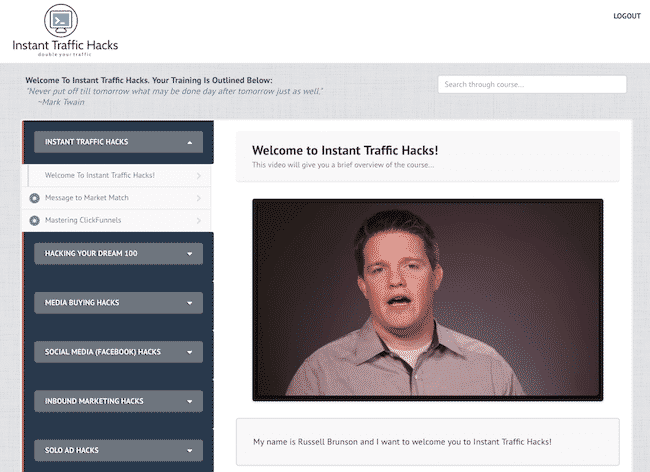 This is the platform where you may be building all of your funnels with the ways and methods that you learn from your Traffic Secrets, Funnel Hacks Masterclass, and Funnel Builder Secrets coaching. One of the works that you will get access to, Funnel Hacks, will be offered to you the instant you register for the coaching. 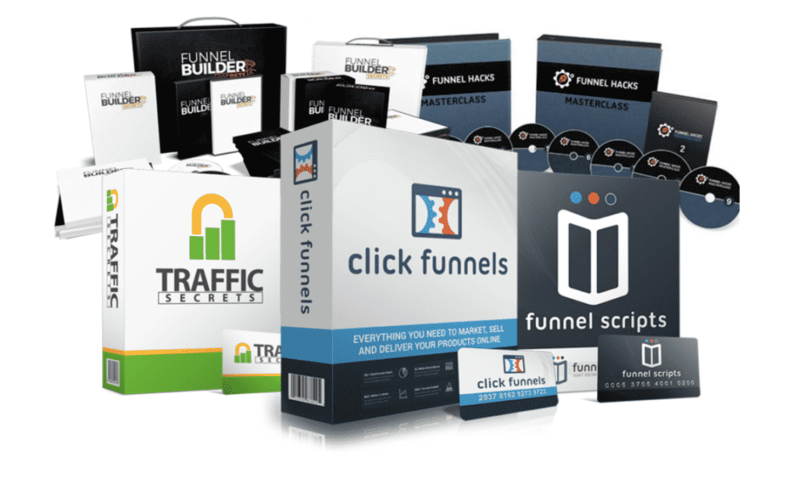 If you’re looking to upgrade to the ClickFunnels Etison Suite package, then you must consider both Funnel Hacks or Funnel Builder Secrets as the way to get a reduction on your monthly cost. If you’re somebody that desires or needs the extra coaching, then the decision may be a little harder. Each offers to provide you with access to the Funnel Hacks Masterclass. However, with Funnel Builder Secrets you also get Traffic Secrets and access to Funnel scripts which are quite valuable themselves. But you have got to think about the higher upfront investment of Funnel Builder Secrets. For those that care about upgrading their Etison Suite package, then going with Funnel Hacks may be a no brainer. By paying up front, you’ll be able to scale back the cost of your plan to $166 a month which is a significant saving. As for me, I am quite happy that I upgraded to Funnel Hacks. It was well worth it in my mind, and I can still re-purchase it as long as it’s out there.